The dance world today is comprised of many dance styles. But whether you study hip-hop, contemporary, tap, or jazz, there is always something you can learn from a ballet class to incorporate into your other techniques. Ballet technique is like taking your vitamins. Even if ballet is not your main focus, the practice of this fundamental style will surely supplement your dancing. It will help you maintain and improve your overall technique, coordination, body awareness, musicality, and more. Ballet is like the mother of all dance techniques. Most Western styles of dance today can be traced back to ballet and its codification has been extremely influential in all styles of dance. Many dance techniques borrow from ballet’s French terminology. For example, the basic foot positions such as 1st position, 2nd position, etc., and words such as plié and tendu are used in most dance classes. Learning these basics in a ballet class and practicing them regularly will give you a greater understanding of the language used to describe technical movements in all kinds of dance. Additionally, other techniques outside of ballet will also codify their style, so it is important to understand the difference as well as the reference point. Almost every style of dance will include pliés and tendues in their warm up. Other techniques, such as jazz or modern dance, will also borrow terms such as pirouettes or battements to describe turns or high kicks. However, the way in which they are done may differ between styles of dance. Taking ballet class in addition to your other techniques will always give you a good base line of overall dance technique. Ballet is linear; emphasizing form, extension, and lightness in the body. This can clearly translate well into certain styles of jazz dance and modern dance (such as Horton or Graham Technique). However, other styles of dance, such as release technique, hip-hop, and others, will require you to throw out all of that ballet technique. But knowing these opposing techniques as a dancer will only enhance your movement quality, enabling you to become a more versatile dancer. Ballet is also a structural technique that has a defined form and general class outline. When you work at the barre, you generally perform each exercise on the right and left side. The same is true for the rest of class—petit allegro, adagio, and grand allegro. In other techniques, less time may be spent on balancing the coordination of both sides of the body, as more time may be spent on larger center combinations. However, this structure of balanced body integration is essential to being a well-rounded dancer. When you are working towards leveling out your flexibility, strength, and coordination of right and left sides in ballet class, you will be able to adapt to choreography in any discipline with ease. Ballet dance is also a great way to train your musicality as a dancer. Musicality is your awareness of the music and rhythm while you dance. It goes beyond just staying on the beat of an eight count phrase; musicality emphasizes how you can accent the music accordingly through your specific movement. Musicality training will help improve your sense of tempo (i.e. whether something is fast or slow). It may also determine whether something is performed sharply or more fluidly depending on the rhythm or melody of the music. This will enhance your ability to understand different movement qualities in the body that may be asked of you outside of ballet. So how can you use ballet to improve your skills in other dance techniques? Take a ballet class at least 1-2 times per week if ballet is not your focus. Become familiar with the terminology in ballet and recognize when it is used in other disciplines to describe a similar movement. Understand the differences between the techniques. For example, a ballet pirouette (turned out) versus a jazz pirouette (in parallel). Use the class to notice imbalances between your right and left sides, and work to improve them. Let your ballet class time be a time to work on your personal dance technique, without any of the embellishments from jazz or modern dance. 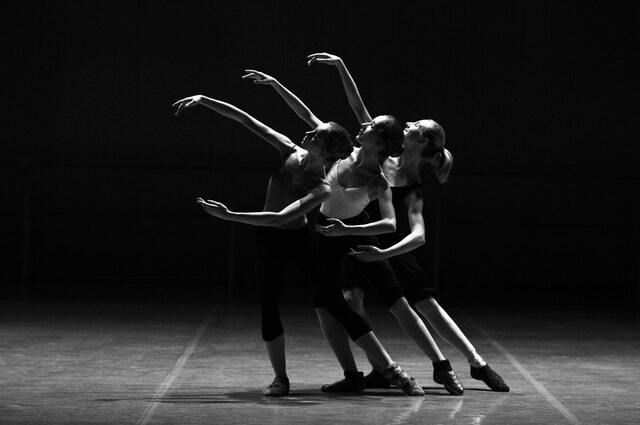 Train your body and mind to become familiar with ballet musicality. Classical music is the basis for much of today’s contemporary music just as ballet is the basis for much of Western dance forms. This basic musicality will help you adapt to more complex rhythms in other styles. Ballet paves the way for success as a dancer since it is the backbone of many dance techniques. It keeps the body strong, supple, and agile. Ballet will help any other movements in other disciplines look clean, clear, and polished. Turns, jumps, leaps, extensions, and other moves will improve and look better in performance. Use ballet as a tool to become a stronger and more well-rounded dancer.